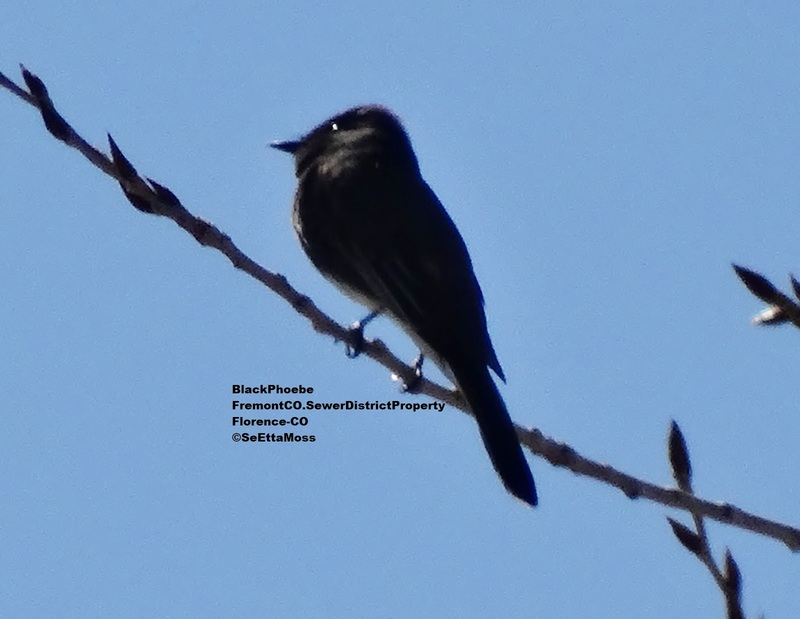 I found this Black Phoebe last week on the property of the Fremont County Sewer District near their sewer plant where I have seen Black Phoebes for several years. As I watched the bird tossed it's head downward and I caught it in the act of casting a pellet, something more often associated with owls. However Black Phoebes and other birds that eat insects or other live prey whole do this to get rid of the digestible parts. 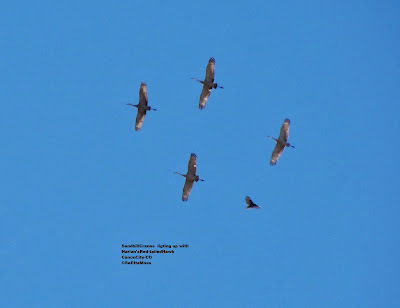 Though a real sharp photo below, it does show the pellet and it's size relative to the bird. 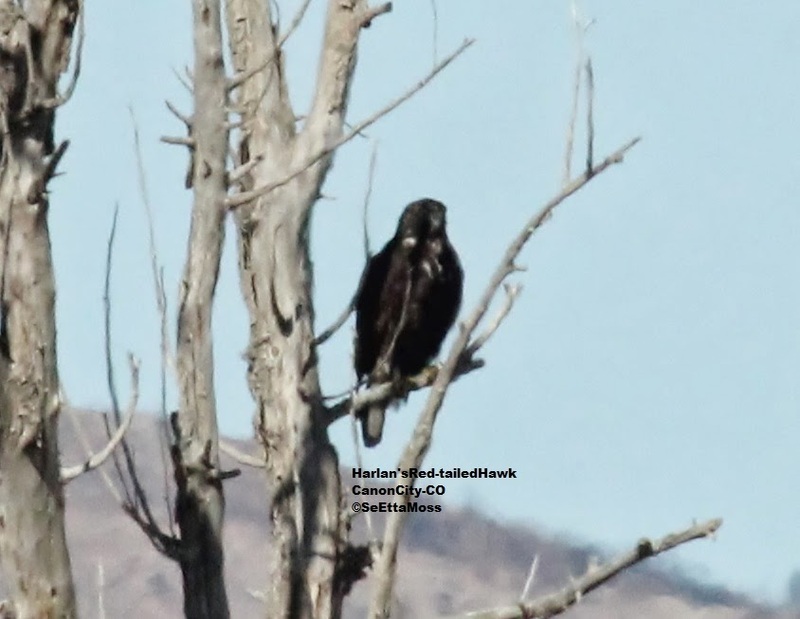 This hawk was perched quite a distance away, about 400 feet away, so the perched photos have been severely cropped to see the field marks--black with a little white on breast and around forehead plus undertail.